Reassurance shield as 772 joins 124 and we head out of Idaho. A couple miles later, we’ll approach SR 32. 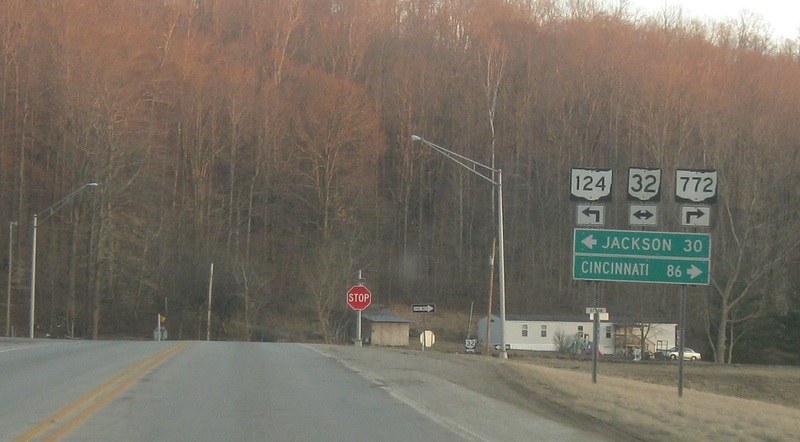 Turn left for 32/124 east towards Jackson- the two routes run concurrent to a point east of Jackson. 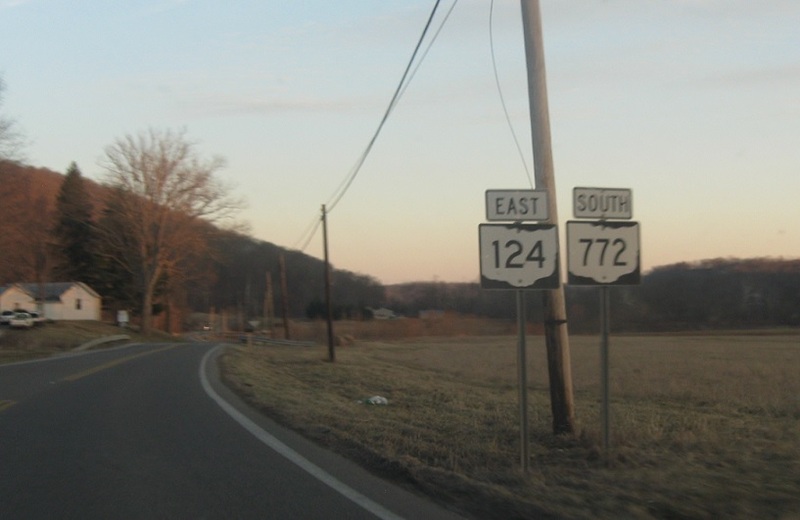 Turn right for 32 west/772 south towards Cincinnati. 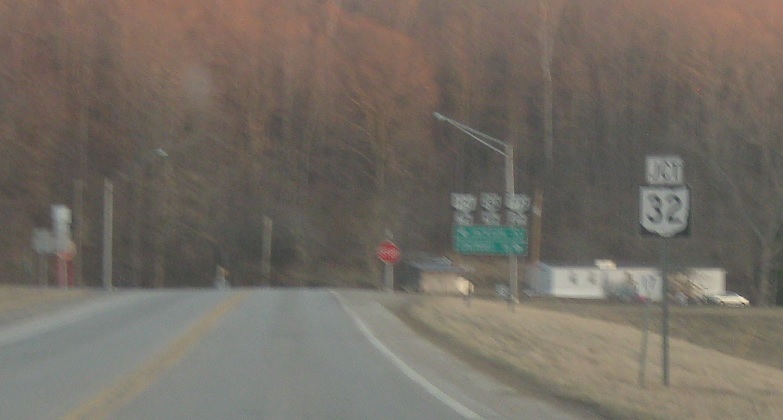 SR 32 is a divided highway.